distilled in 1988. 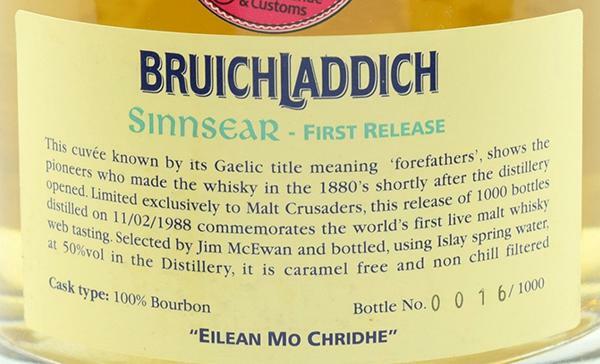 Sinnsear is gaelic for `Forefathers`." Unusually difficult to reach Bruichladdich, who needs time and air to develop. Fruity in the nose. Pear and plums. A little water takes away the sharpness on the palate and the slightly pungent alcohol note in the nose, which makes the malt seem much more fruity and stuffy. "Plum cake" One of the last 1988s Laddies that are still available. 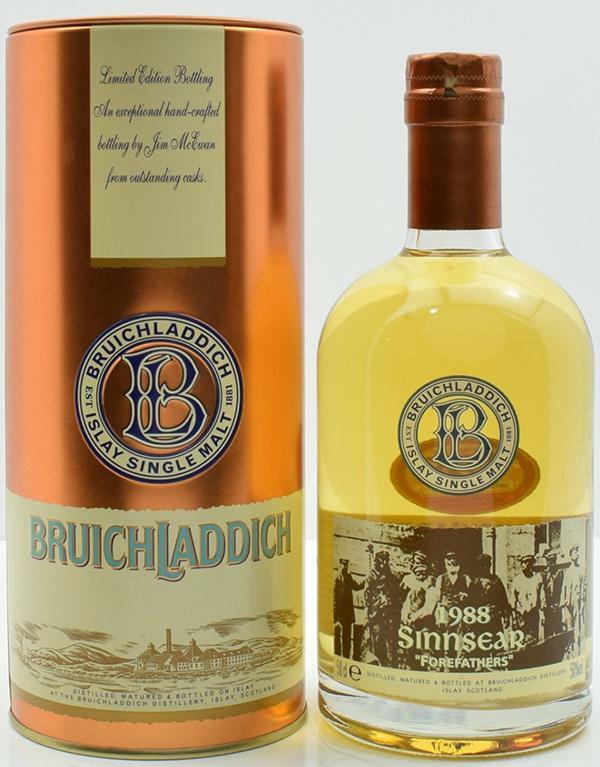 A very exclusive Whisky, Bruichladdich Sinnsear is a tribute to the pioneers of the distillery in 1880 the first edition of this whisky producing unit. Sinnsear is also Gaelic for "ancestors". Of this edition, the Sinnsear 1988, only 1,000 pieces produced and each bottle is individually numbered. 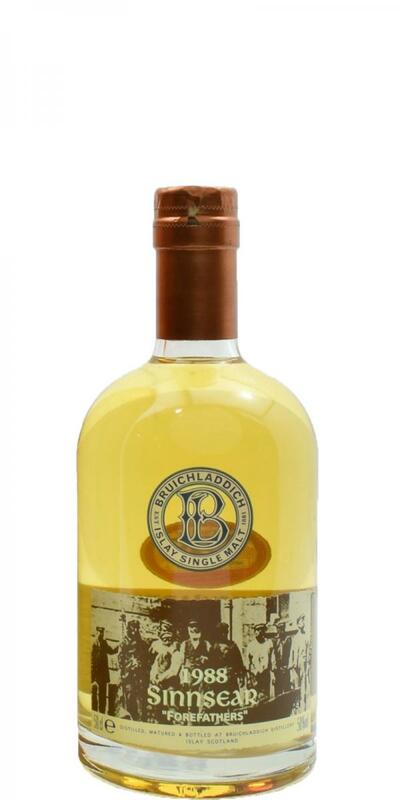 It is a whisky caramel free and non chill filtered and matured in bourbon casks.